Before we get started, ask yourself a quick question – how long ago did you get your current website? Was it 1 year ago? 5 years ago? More? We manage a few websites for clients who have their same website for over 10 years! Chances are, if you have a website and you haven’t given it much love lately, it’s time for a redesign. Luckily, upgrading your website isn’t as scary as you think, and in this article we discuss how to tell if it’s time to give your site a spruce up! If any of the following tell-tale signs you need to upgrade your website sound familiar, it might be time to consider a website upgrade! When you view your website it just doesn’t look good. The colors aren’t right, the images mo longer work, and the overall feel gives off an outdated or unprofessional look. Your competitor’s websites look much more modern, clean and professional and make their businesses look better than yours, even if they’re not. You look at your website and it’s like stepping in a time machine to the place the internet was many years ago. The font is too small, your site looks small on modern screens & is hard to read and it just doesn’t fit with all the new styles and advances in technology over the years. Many older websites were built before content management systems like WordPress were commonplace. They were often built in code by web developers who you have to pay every time you want even a small update, and you find this extremely frustrating. Does your website look like a tiny miniature version of your site on mobile screens so small that you can’t read it, and when you try zooming in you end up having to drag the screen around just to read a normal sentence? Or maybe you have a separate mobile site that needs to be updated by your web developer seaperately to your main site and looks like a series of buttons with no real design? As technology advances, so do the skills of hackers, if you’re not constantly upgrading your site and maintaining it’s security, you’re putting your reputation and business at risk. Older websites are much more vulnerable to attacks, resulting in costly repairs and potentially losing your site all together! 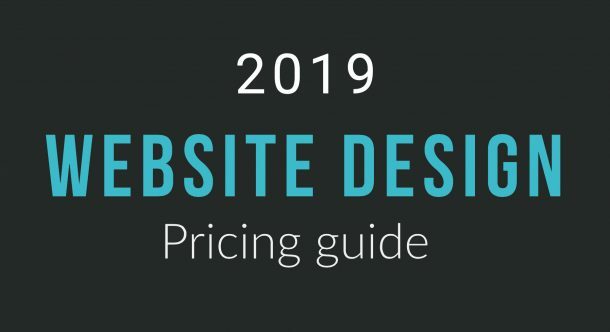 We’re often asked – what is a website redesign going to cost? The real question here is what is your current website costing you? People sometimes are shocked that a new website can cost more than $4000, but when they realise that upgrading their website could earn them thousands more in new business each year, that number quickly becomes a small investment. You may find that you’d even be better off having no website at all than a website that poorly represents your company. For many customers, your website is the first impression they get of your business, what is your current website telling people about you? When it comes time to redesign your website, we’ve had a lot of experience in making the process as smooth as possible. Here are 7 of the steps we take, so you can learn and take the hassle out of your next website redesign. First, you need to work out what the business goals are for your site. You might like to read up on how to plan your website for more leads here. Next, we need to look at what elements of your current site are working well to meet that goal, what elements need to be added and what elements need to be scrapped all together. Look at other websites you like the look and feel of. This helps us pick fonts, colors, images and other design elements you like. If you have an existing branding or style guide, we will work within those guidelines. Once we have all of this we sketch a rough mockup of where all the elements on your website need to go, before we start with the finer design and build details. During this phase we work with you to create a layout you’re happy with. We like ti create the designs straight onto our development server so you can actually see how the elements will move and respond on different devices, rather than just looking at an image, so you can provide feedback and we can make the updates in a live environment. We work on the homepage design first and get that agreed upon before moving forward with the other sub pages. Next, we mockup the unique sub pages of the site that require specific layouts and design work. We make sure to design layouts in both desktop format as well as mobile format so we know how the site will look and adapt to multiple devices. In step 1, the planning & discovery phase of the redesign, we also work with you do update and revise the content structure of your website. This falls into two categories. The sitemap is the main hierarchy of your website. It provides a visual representation of all the pages on your site and how they link to each other. It also outlines all the pages that will need text copy written and what images may be required. Once your sitemap is established, we set up folders in Google Drive. There, we place all content from your existing website as Google Documents. This allows you to update easily and edit the content and provide a central repository for all content for the website. This can be done while we’re creating the designs and mockups so that once the site is built, the content is ready to go and can be added straight away. After the design and content phases are complete, it’s time to do the final development of your site, install the required functionality, plugins and build your WordPress website. Once the development is completed, we do thorough testing of the site to make sure that it displays properly across all browsers and mobile devices. We then send you a test link of the website for review. After the site meets with your final approval, it is launched live for everyone to see! 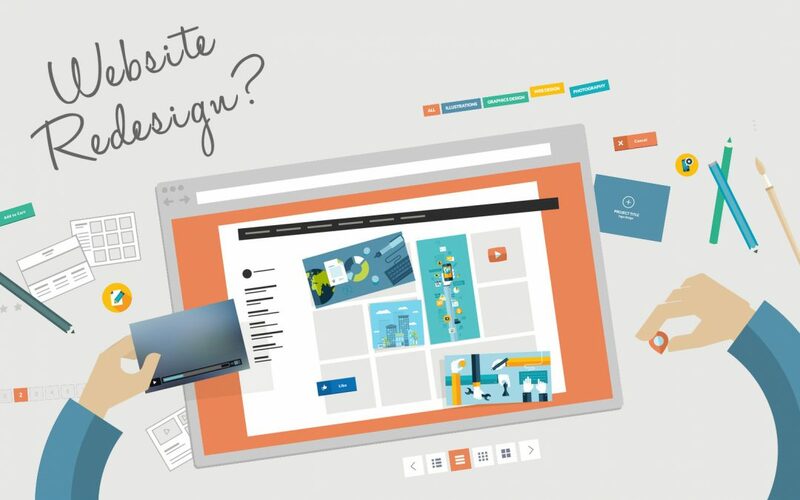 There are many steps to consider when thinking about a website redesign. The key is to follow a structured process to avoid a bandaid, ad-hoc website solution. When the design, content, and development happen in a planned organised and concurrent manner, your website redesign will go smoothly and you’ll end up with an efficient, timely and and excellent result for your business. Learn more about how we build new websites here.